G.fast isn't really going to help either - VM are just moving the whole country to 350Mb and job done being faster. Most of the premises passed by G.fast won't be able to get the full 300Mb anyway due to distance from the cabinet. Is it true that virtually all G.fast installations are being done by attaching pods to existing powered street cabinets? My nearest cabinet is outside the boundary of my estate, diagonally opposite my house which is on the very edge of the other side of the estate, distance about 400 metres. I see no benefit of G.fast if it came to my area. Not quite. All installations are being done by attaching a pod to a PCP that already has an FTTC twin. The trial nodes that were built closer to homes have been decommissioned. My Cat 9 phone can get speeds like yours - if only I happen to be in an LTE-A area which seems to be once a year at best. It is odd that the Netherlands has standard 1Gbps symmetrical speeds, a company in Kent called "Gigaclear" is offering symmetrical speeds, 50, 100 and 1Gbps... 1Gbps will cost just shy of £80/month. Google Fibre (from the USA) was planning to come to UK with 1Gbps speeds as well before that was abandoned, why I dont know. While the speeds we are getting now are good, streaming HD video is a struggle, especially for me. Another benefit of DOCSIS 3.1 should be the reduction in latency which is very badly needed for services that use real time traffic such as gaming. Would really like to see VM press on with this and offer much better upload speeds as well. Clearly they're dragging their heels due to the lack of strong competition from Openreach. However, as FTTP gets a much larger rollout I do think VM are backing the wrong horse with HFC, and even in new areas using RFoG instead of a standard GPON FTTP service, on existing rubbish kit. At some point that copper is going to have to be replaced with fibre, and it makes far more sense to future proof all new infrastructure. The plan I read to use CGNAT for IPv4 with native IPv6 going forwards is madness, and they should really be doing the dual stack approach until IPv4 is phased out which will take a long time. Or at least provide full IPv4 connectivity as an extra. I also don't see how a better DOCSIS 3.1 1Gbps symmetrical service would eat into Virgin Media's business packages and leased line products, because the SLA simply isn't there. You don't get the (pretty fantastic) support you get from the Virgin Media Business team on home packages, or a 5 hour SLA. We have a lot of Altnets up and coming offering FTTP symmetrical solutions, so Virgin Media cannot simply rely on the complacency from Openreach. If one appears in my area offering more bandwidth, a symmetrical service, actual dual stack connectivity, and far lower latency (allowing my own CPE instead of buggy awful kit) then it should be obvious which one will win my business. <snip> IPv6 has been on the network ready to go for months and is being deployed. ould really like to see VM press on with this and offer much better upload speeds as well. Clearly they're dragging their heels due to the lack of strong competition from Openreach. However, as FTTP gets a much larger rollout I do think VM are backing the wrong horse with HFC, and even in new areas using RFoG instead of a standard GPON FTTP service, on existing rubbish kit. At some point that copper is going to have to be replaced with fibre, and it makes far more sense to future proof all new infrastructure. What copper? 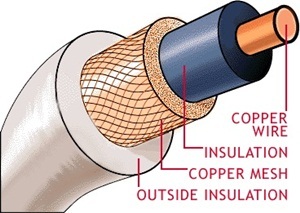 VM's coaxial access network does not use copper to carry signals. And even if it did, it does not have to replaced by fibre. i might be getting this totally wrong what do you think the core is inside a standard coax cable? e.g. The core of VM external coax is either aluminium or steel.